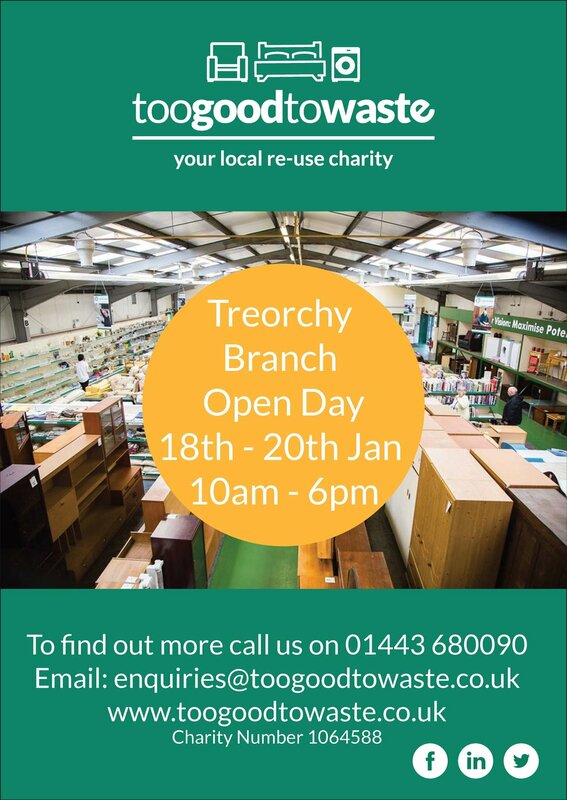 On Thursday 18th, Friday 19th & Saturday 20th January we are holding open days in our Treorchy branch where you can have a look around before the building works begin, take a look at the plans and we will also have a selection of items on display to give you an idea of the items we sell. We would also love to hear from anyone who used to use, or work in the building. Did you or someone you know used to go to the school or use the building as a youth club? If so then please pop along as we would love to hear your stories. The building will be open between 10am - 6pm on the 3 days, so why not pop in to have a final look around before we begin the development works? For more information you can call us on 01443 680090.